Landing in the Top 10 French Fries in America, according to Food Network Magazine, Crack Fries blow any other fries out of the water. Beer battered, and covered in cracked black pepper seasoning, your tastebuds will thank you. Oh, and don’t forget the best part. They are served with a side of delicious warm cheese dipping sauce. On more than one occasion I have gone to HopCat and just ordered Crack Fries as my entire meal. They are that good. Now there is no way your mouth isn’t watering right now! 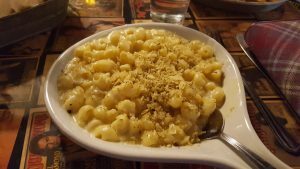 Whether you’re new to Madison or you’ve lived here your whole life, you definitely need to try HopCat! 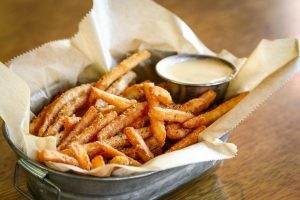 As a growing company, HopCat now has 14 locations, so you can enjoy Crack Fries all over the Midwest!